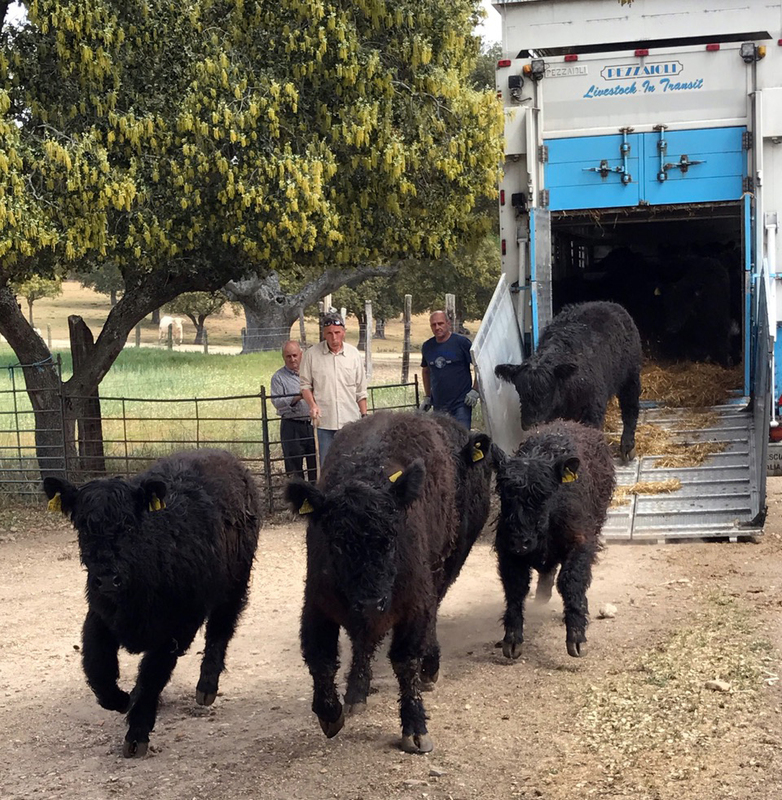 A TOTAL of 87 Galloways and Belted Galloways have been exportedin one of the biggest ever deals to Spain, writes Bobby Geddus. It follows a visit to Scotland and the North of England by Mike Harding and his Spanish wife who are setting up a herd of Galloways. Thirty six of the Galloway heifers were shipped out last week from the famous Klondyke Herd atShancastle Farm at Moniaive. The couple have purchased in total 12 Belted Galloways and a bull as well as 73 black Galloways and a bull. One of the two Galloway bulls comes from John and Ann Finlay at Blackcraig, Corsock. Scott McKinnon, farm manager at Shancastle who runs one of the biggest Galloway herds in the country, said the heifers were aged between 17and 23 months. “It’s great for the GallowayBreed and for us. We’re delighted to be involved in this export deal. The couple were over here and visited various herds before making their purchases. The couple have two farms, or Dehesas as they are called in Spain, which use the old ecosystem farming method traditionally employed in two regions of Spain, Extremadura and Salamanca. Mike said: “We are in Salamaca not far from the Portuguese border, where there are hot summers and cold (-8C) winters. “We have one farm of around 280 hectares with 200+ head of breeding females of Spanish Avileñas, a traditional Spanish pedigree breed, half of which we are crossing with Japanese Wagyu. He added: “"Dehesa de Olmillos" is the Main farm where the Galloways are going to live. Here we have 275 hectares with 3km of river frontage, and where we are putting into place rotational pastures to complement the traditional Dehesa system. The couple have purchased in total 12 belted Galloways and a bull as well as 73 black Galloways and a bull. From this first batch, they will be keeping about 25 black Galloway as pure and intend to build up the herd by breeding/buying in more Galloways over the course of the next few years. “Our intention is to establish the Galloway breed here at both our farms, both Black and Belted and to establish a market for the beef. “In addition we want to integrate other local farms into the programme, sell them females and get them breeding and selling into the market we create. Mike went on: “The rest of the Galloways will be crossed with Wagyu.